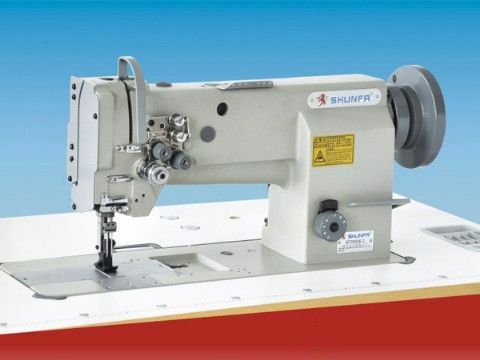 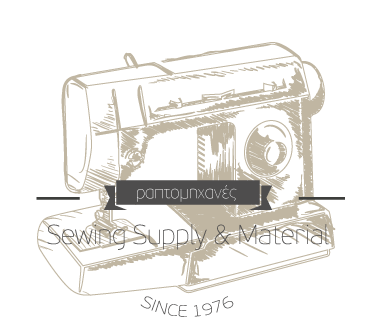 SF 20606 is adopting double needles, double large vertical auto-lubricating hooks and sliding thread taking-up, this machine can sew two parallel straight lock stitches. 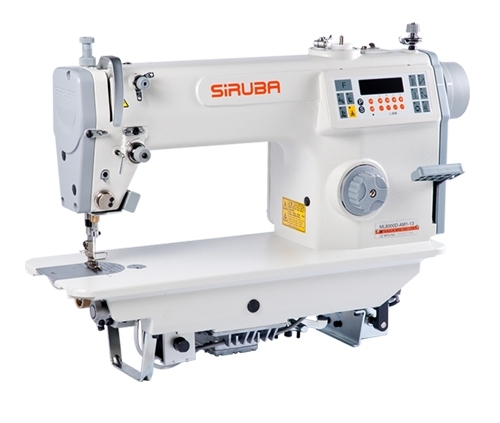 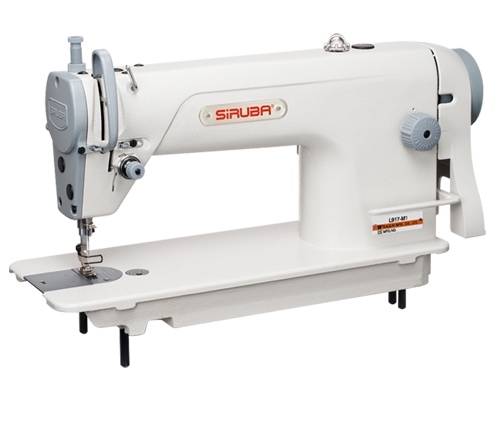 Arm shaft and hook shaft are supported by ball bearing, making sure the possibility of timing belt driving; plunger pump lubricating system; feeding by compound feed mechanism system such as feed dog, needle bar and presser foot, so that even thicker and longer sewing can be smoothly operated. 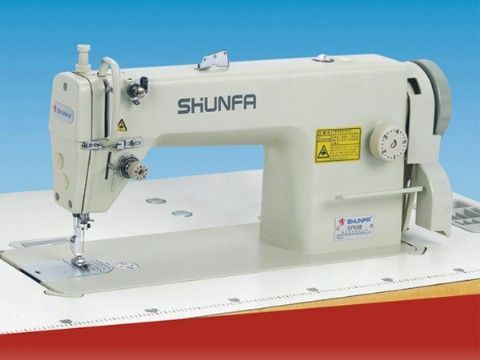 SF 20606-1 It is adopts single needle, single vertical large vertical auto-lubricating rotating hook, and it has the merits which owned by SF 20606. 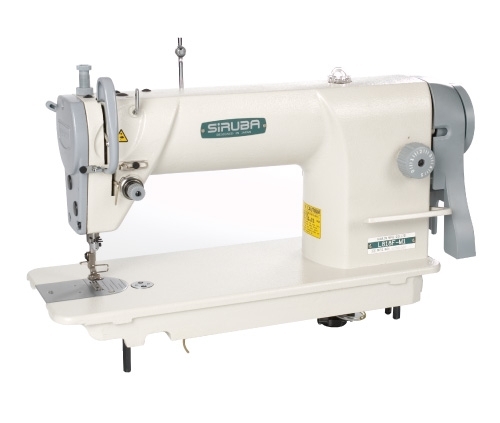 This series machine can be widely used for sewing suitcases, tents, cushions, leather products, clothes and mats.